Caustic soda or sodium hydroxide forms an essential part of the manufacturing process of various products such as paper, aluminium, soaps, detergents, and bleach, among others. It is usually manufactured by the electrolysis of sodium chloride solution (brine). Lime soda process is another method of manufacturing caustic soda where ‘trona’ ore is treated with lime to produce sodium hydroxide. FMC and Solvay, major key players in the caustic soda market by Expert Market Research, use the lime soda process to produce caustic soda in their Wyoming plants. 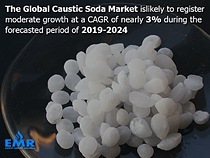 * Caustic soda also finds its application in organic chemicals, inorganic chemicals, soaps and detergents, textiles, alumina and water treatment industries among others. * Region-wise, the market is divided into North America, Europe, Asia Pacific, LATAM, and Middle East and Africa. * The pulp and paper, organic chemicals, and inorganic chemicals will be the leading sectors in the forecast period of 2019-2024. * An increase in the alumina demand in the automotive industry led to a market growth of 3% in 2016 as compared to the previous year. * The increasing application of caustic soda in the transportation industry will also aid in the market growth between 2019 and 2024. * The Asia-Pacific region dominates the caustic soda market followed by North America and Europe. * The EU import grew by about 1.3% in 2017 due to increased demand globally of caustic soda in chemical pulping, waste and recycled water treatment, bleaching and synthesis of other chemicals. 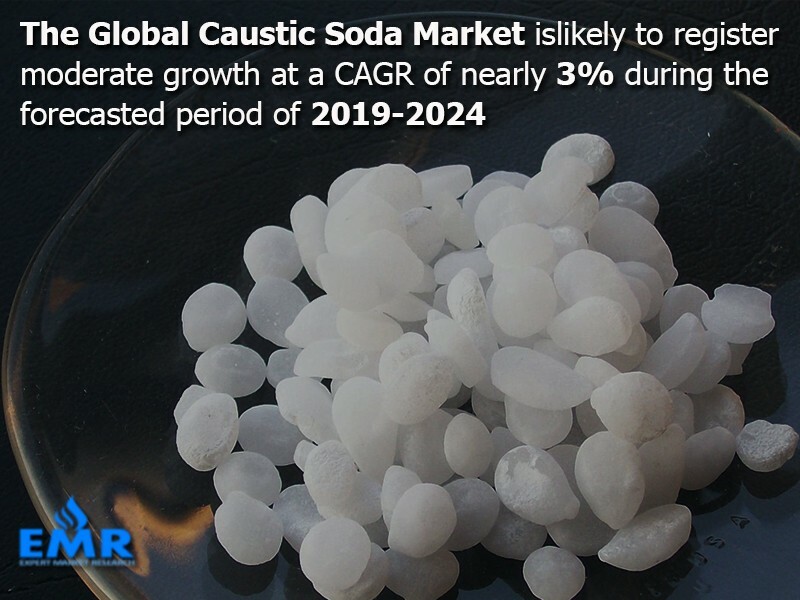 * Globally, there was a 40-45% surge in caustic soda prices in 2017 due to supply constraints caused by strict environmental policies in China, the largest caustic soda producer. The global caustic soda price, however, had started stabilising by 2018. * The report by EMR provides an analysis of the market according to the types of caustic soda and their application based on demand. * The report analyses the market according to the region-wise production and consumption of caustic soda. * It provides the trade data analysis of the import and export of caustic soda and its feedstock. * It also provides the price trends for caustic soda and its feedstock in 2018 as well as their market outlook in the forecast period of 2019-2024. * The report proffers a price analysis of the manufacturing process and gives you a fair survey of the competitive landscape.